William Shannon is a graduate of Trinity College Dublin having obtained his Batchelor of Business Studies in 1974. He went on to qualify as a chartered accountant in 1977. He joined a large firm of insurance brokers in 1987 as Group Financial Controller and was subsequently appointed Group Finance Director in 1989. 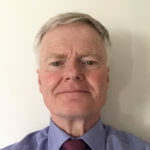 He joined VHI Healthcare as Director of Finance in 2002 and during that period served on several committees in the Institute of Charter Accountants. He is a past Chairman of the Finance Committee of the Insurance Institute of Ireland and Past President of the Financial Executives Association.